Pest description and damage The spruce aphid is green and only 0.05 to 0.1 inch long at maturity. Plants affected by spruce aphid first show banded yellowish blotches on the needles, sometimes with honeydew (sticky material excreted by the aphid) present. The needles may turn completely yellow or brown and drop. New growth is not affected, leaving trees with bare centers and green tips. 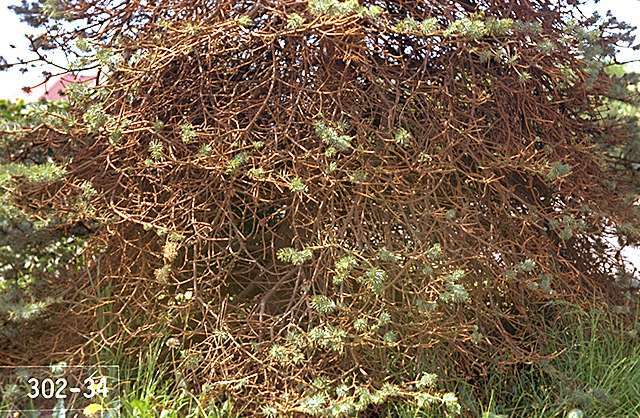 Biology and life history Spruce aphids feed during the winter and early spring before new growth occurs, so affected trees may have needles only on the tips of branches later in the year. Damage is usually not apparent until after aphids have left the tree. Aphids appear early in the season (about February) and may increase rapidly during March and sometimes April. Check weekly for aphids on important trees starting about November (monitor less important trees beginning around February, depending on weather). Aphids have many natural enemies, including lady beetles, syrphid fly larvae, and lacewings. Avoid broad-spectrum insecticide applications that would disrupt these controls. Wash aphids from plants with a strong stream of water. 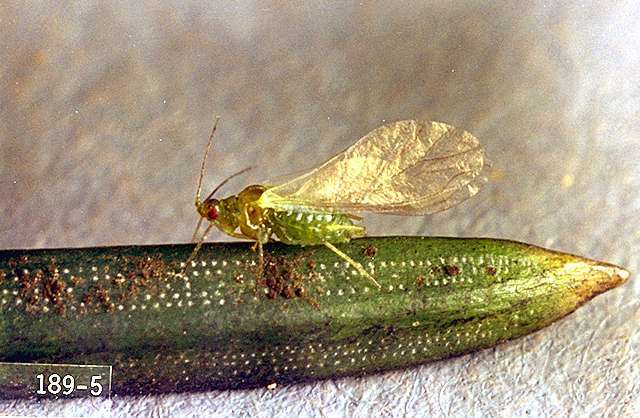 Aphid populations tend to be higher in plants that are fertilized liberally with nitrogen and heavily watered, as this produces flushes of succulent growth. Avoid excessive watering and use slow-release or organic sources of nitrogen. Control ants, which "farm" the aphids and protect them from predators in order to harvest their honeydew.